Have you been keeping up with Tambo Traveller’s adventures? 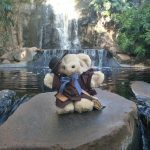 Tambo Traveller (Tambo Trav for short) is a bear who is always out and about. 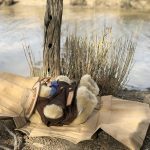 He is bear who loves heading to new places and tackling new adventures. 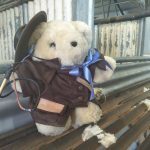 Dressed ready for escapades, Trav wears a Bear-as-a-Bone to keep himself dry and a leather hat to keep the sun off. Tambo Trav carries his swag and leather stock whip with him everywhere he goes, always ready for action. Trav is a Little Aussie Ringer Tambo Teddy, a unique Aussie teddy bear. 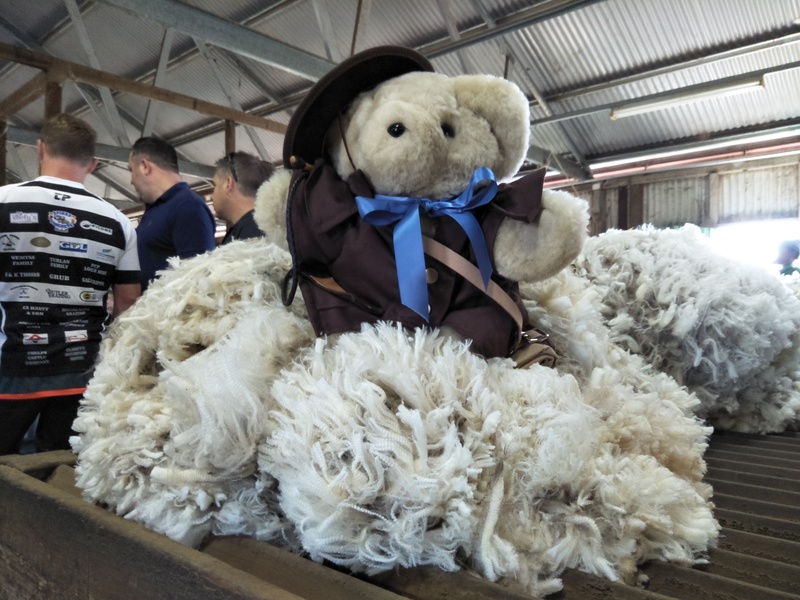 Sometimes Trav can be found hanging out in Toowoomba at our Regional Sewing Hub or making friends with a cuddly koala at Lone Pine in Brisbane. Trav likes a bit of boating and enjoys heading to New Zealand for of a spot of fishing or hanging out on beach at Great Keppel Island. As an Outback Aussie icon, Trav loves to check out other regional icons. 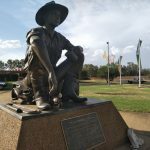 He has been captured taking a selfie with the Cunnamulla Fella, the giant Meat Ant in Augathella and enjoyed a spot of smoko in the main street of Longreach. Trave does enjoy being a Tambo local and participating in home-grown activities. 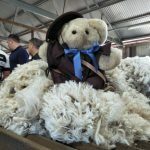 Whether he is camping down the river, working in the yards or overseeing the shearing, Tambo Traveller is an active member of the community. 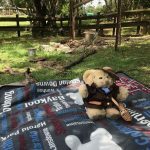 You can keep up with Tambo Trav’s adventures by following Tambo Teddies on Instagram.